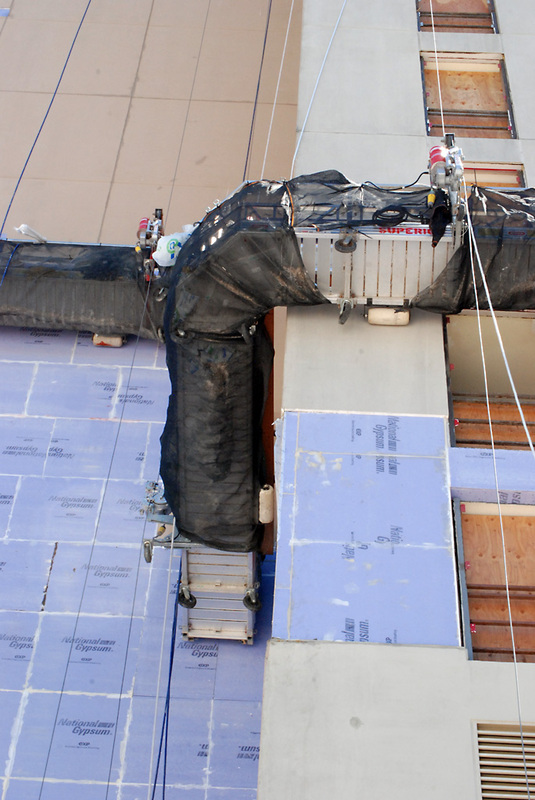 ← Turnaround crews work to revitalize Trainer, PA refinery for Delta Airlines and Monroe Energy. 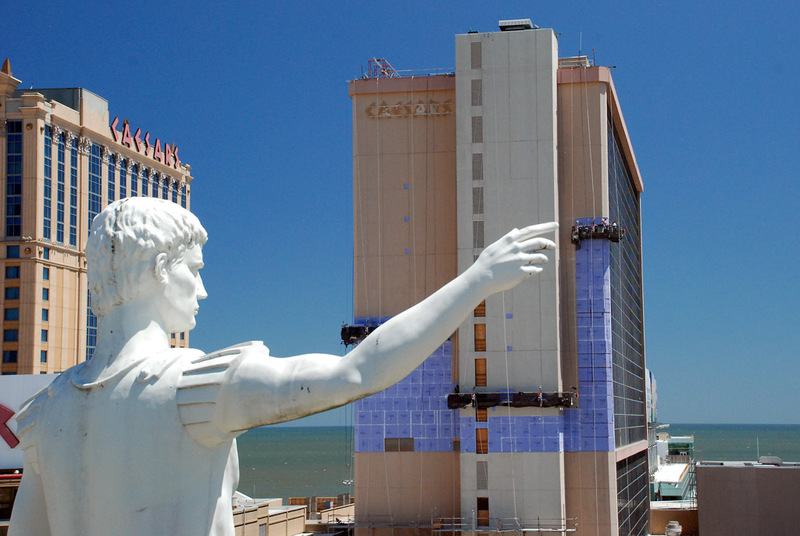 Atlantic City, NJ is vying to become the destination spot of choice on the East coast. 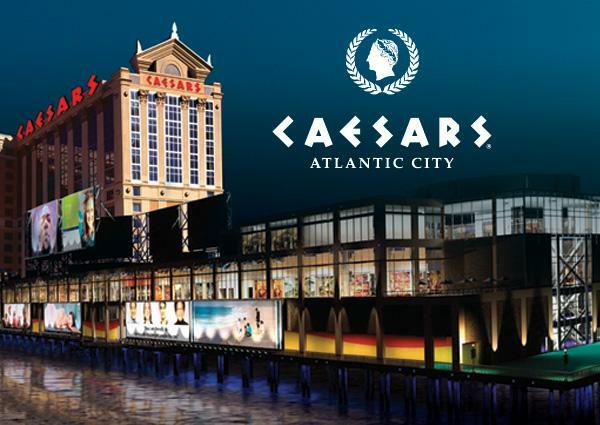 Much like the growth a few years back in Los Vegas, Atlantic City is pushing to modernize, update, and transform into the premier hotspot on the coast. 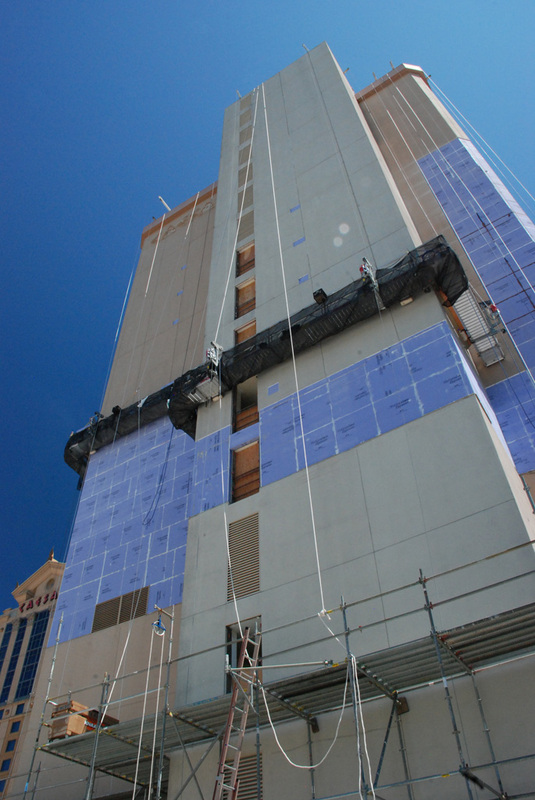 Caesars Atlantic City Resort has been expanding and renovating constantly in the past decade with a new hotel tower, parking garage and shopping center. 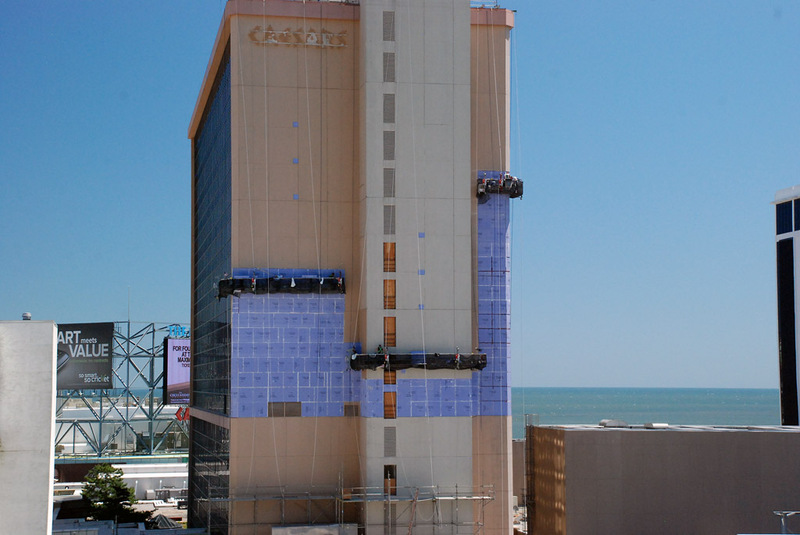 It opened as Atlantic City’s second casino in 1979 as the Caesars Boardwalk Regency. 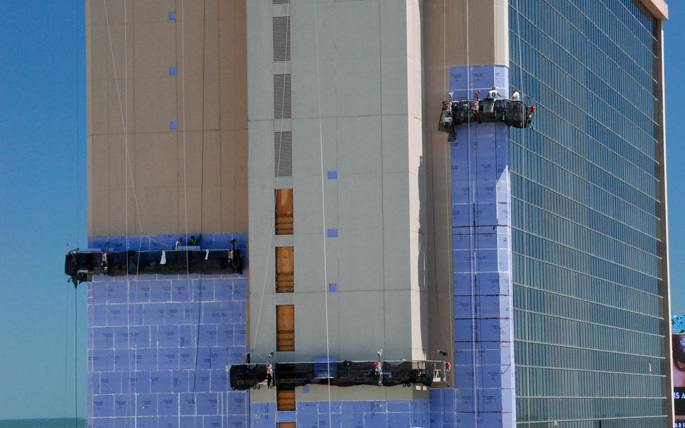 Like it’s counterpart in Los Vegas, Caesars has an ancient Roman theme and boasts 145,000 square feet of gaming area, 3400 slot machines and is now one of the largest resorts in the area. 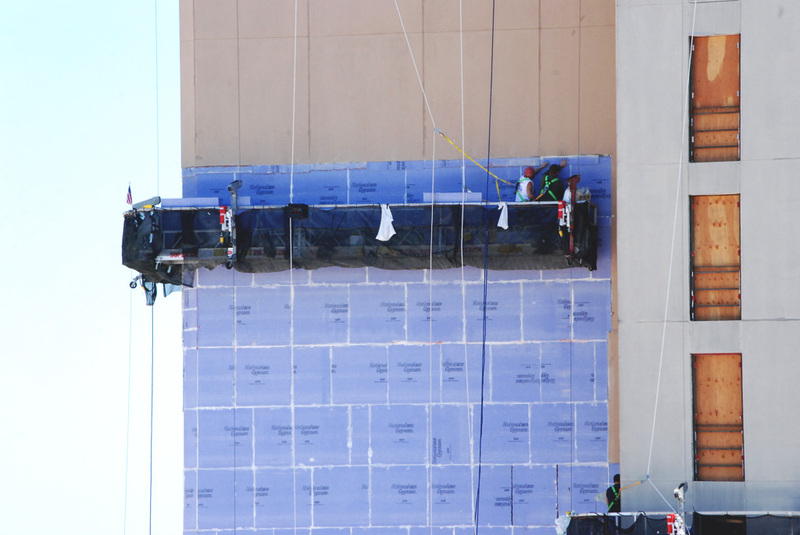 Superior Scaffold’s swing stage department was called in to help with the EIFS facade replacement on the towers. 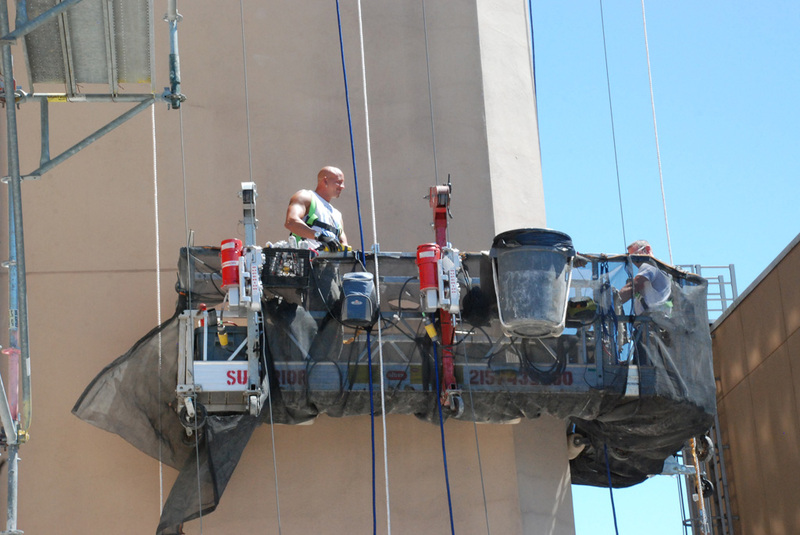 On this multi-phase job, Superior had to install a roof perimeter guardrail, duct protection and system scaffold beneath the swings. 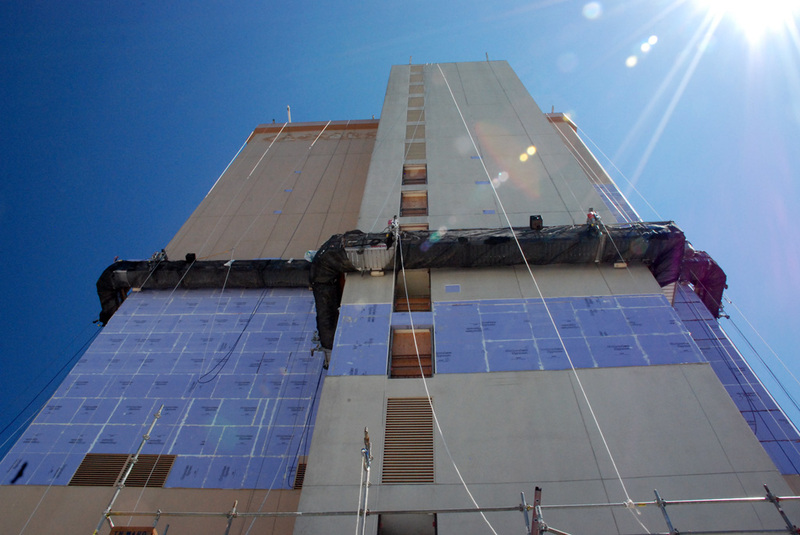 Superior used 3 full Swings, 2 Corner Swings, 1 C shaped swing (4 hoist platform), System scaffold and 1 material hoist. 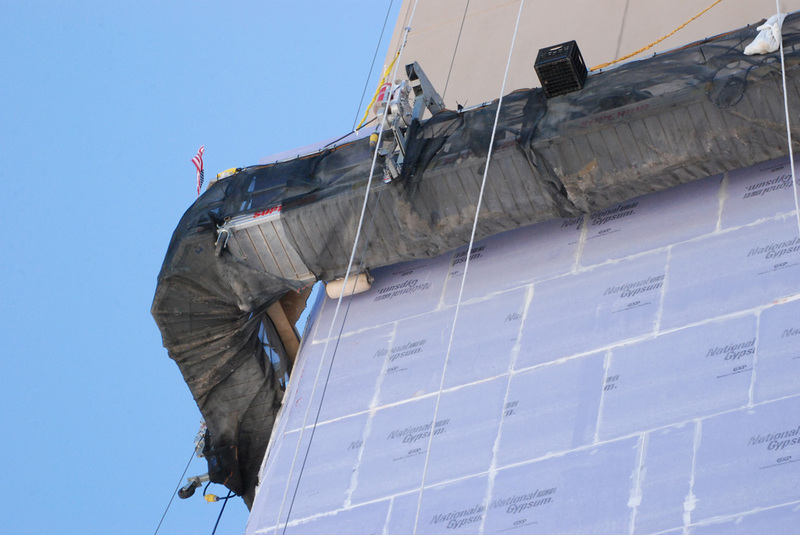 The major challenges faced on this job were the odd shapes and capacity swings that had to be built to allow crews access to all areas of the exterior of the building. We also had a very rapid turnaround time. 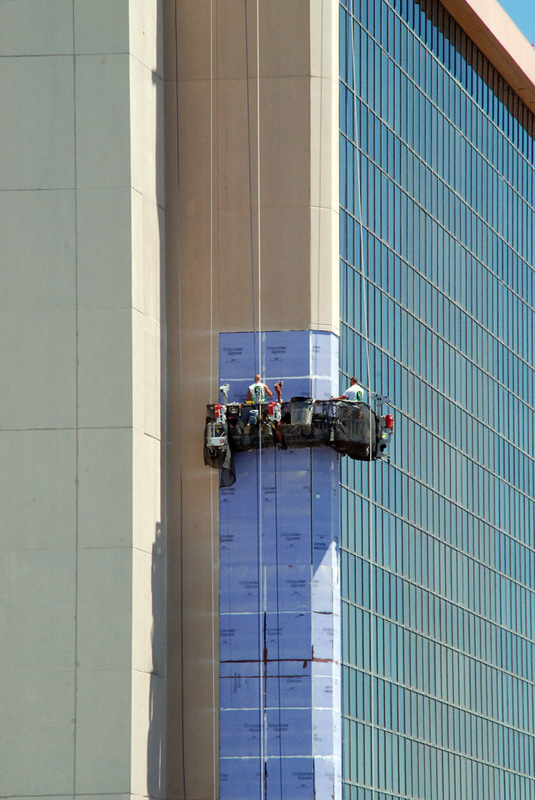 In the end, the job was done in time and on budget allowing Caesars to have their new facade ready for their summer rush. 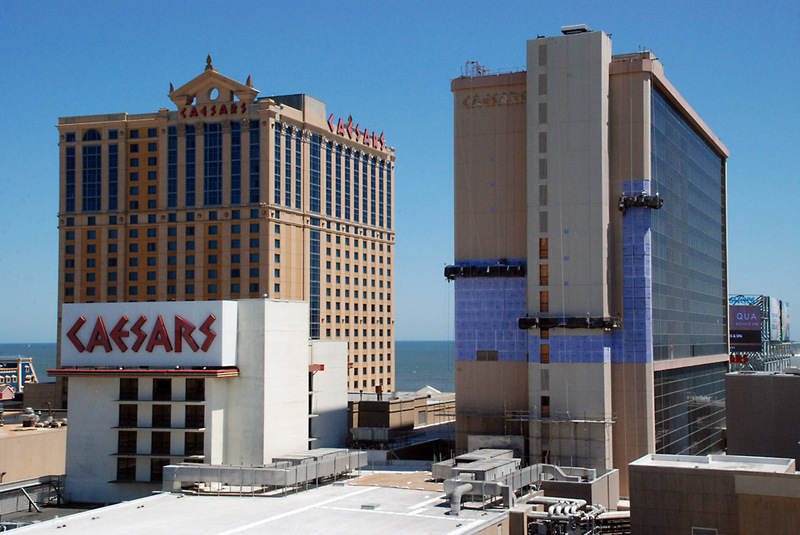 Caesars Entertainment operates the casino in Atlantic city. (from their web site) Since its beginning in Reno, Nevada more than 70 years ago, Caesars has grown through development of new resorts, expansions and acquisitions, and now owns or manages casino resorts on four continents The company’s resorts operate primarily under the Harrah’s, Caesars and Horseshoe brand names; Caesars also owns the London Clubs International family of casinos and the World Series of Poker. Posted on July 31, 2012, in News & Updates, Suspended and tagged 215 743-2200, ABC, aurora, Blackjack, Caesars Atlantic City, Caesars Casino, Caesars Palace, Caesers Resort, cbs, Ceasars, DE, facebook, frame, GA, Gambling, Gold, Holiday, London, Medals, Mens Gymnastics, Missy, Missy Franklin, Missy Treanor, NBC, New Jersey, New York, News, NJ, NYC, olympics, Online Gambling, PA, philadelphia, Philly, Poker, Resort, scaffold rental, scaffolding rental, Suspended, swing stage, swing stages, Swings, twitter, USA, Vacation, www.superiorscaffold.com. Bookmark the permalink. 1 Comment. Its such as you read my mind! You appear to grasp so much approximately this, like you wrote the ebook in it or something. I believe that you can do with some p.c. to force the message home a little bit, but instead of that, that is excellent blog. A fantastic read. I will certainly be back.